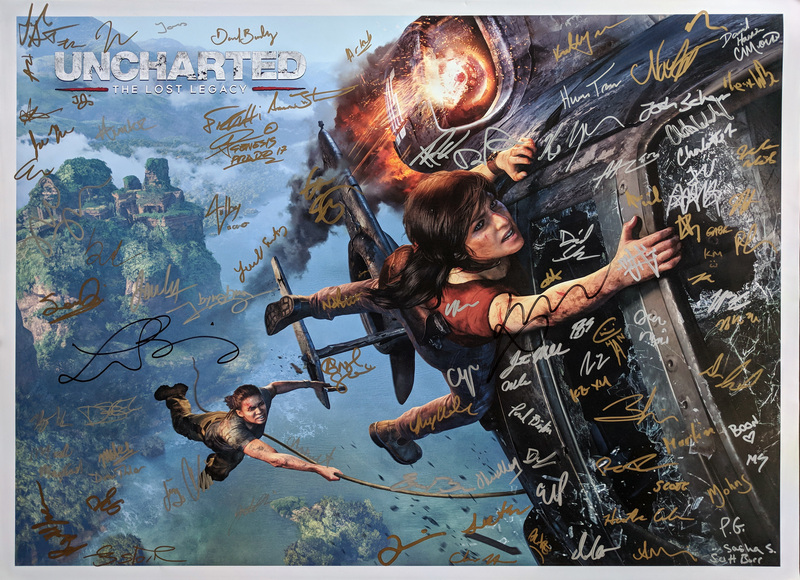 Share your best Photo Mode creations for a chance to win a poster signed by the cast and development team. Has it been a year already? It felt like just the other day, but Uncharted: The Lost Legacy launched exactly one year ago today on August 22, 2017. We’ve been honored by your love for the game and the continued support we’ve seen, including the incredible cosplay, fan art, gameplay videos, and Photo Mode submissions we see week after week. To commemorate the one year anniversary, we wanted to celebrate your passion for Uncharted: The Lost Legacy with a special Photo Mode competition. From now, August 22, 2018 until 1:00 PM PT on September 5, we’re inviting you to share your original Uncharted: The Lost Legacy Photo Mode creations for an opportunity to win a poster signed by the cast of the game and the development team here at Naughty Dog. From dramatic portraits and stunning landscapes to your favorite action shots and hilarious moments—we want to see your creativity on display. So, how can you participate? All you have to do is capture your shot using Uncharted: The Lost Legacy’s in-game Photo Mode tools, Tweet it at @Naughty_Dog with the hashtag #UTLLPhotoModeContest, and follow @Naughty_Dog. You can also submit your shots by completing the form, including the #UTLLPhotoModeContest hashtag in the caption, and uploading the images via NaughtyDog.com/ugc. We’ll be judging each submission and the winners will be announced on Wednesday, October 3. The Uncharted: The Lost Legacy Photo Mode contest is open to fans who are legal residents of the United States (excluding Arizona) and Canada (excluding Quebec). Void in Puerto Rico, all U.S. territories and possessions and overseas military installations and where prohibited or restricted by law. Thank you again for taking this adventure with us, Chloe, and Nadine. We can’t wait to see what you create! Uncover the truth in UNCHARTED 3!